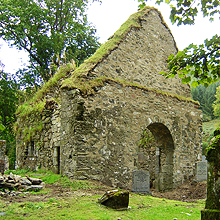 The variety of ecclesiastical buildings is a testimony to Scotland’s complex and often turbulent religious past. Our religious beliefs and practices have shaped the physical and cultural landscape, from the Celtic cross and medieval abbey to Gothic cathedrals and simple 19th century Scots Presbyterian kirk. However, this rich heritage is vulnerable to changing social customs and rising maintenance costs. LTM recognise the unique challenges presented by a church building, ranging from inspecting the site grounds to determine sensitivity and access issues; assessing the scale and scope of repair works; surveying, recording and replicating carved stone details, gravestones and statues; and identifying best conservation practice and providing solutions to suit the client’s budgets. LTM’s respected masonry teams, supported by our in-house Stone Conservators and Traditional Plasterers can tackle all types of conservation work, ranging from small scale emergency repointing work to holistic grant-funded conservation programmes. We have been involved in maintaining, repairing and restoring a variety of church buildings over the past 10 years. LTM Consultancy can also provide professional, technical advice on building defects and problems, as well as undertaking maintenance inspections and detailed stone and plasterwork condition surveys. We can provide bespoke surveys designed to meet the needs of the building and the client - this can form an essential step in preventative maintenance and provide an important first step towards a grant funding application. "Throughout the contract period their dealings with us as clients was never less than exemplary, both management and workers showing sensitivity to the fact that this was a working church. Interruption of work at short notice for funerals was accepted without complaint and the site was always tidy. It has been a pleasure to have Steven and his staff working on our Church, with the feeling that they actually care about the buildings they are repairing. They are an asset to the architecture of the North of Scotland."